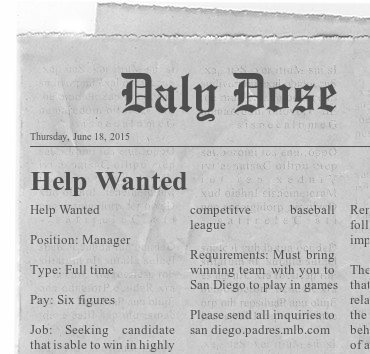 June 2015 – Welcome to Daly Dose Sports- Your dose of sports and sarcasm. 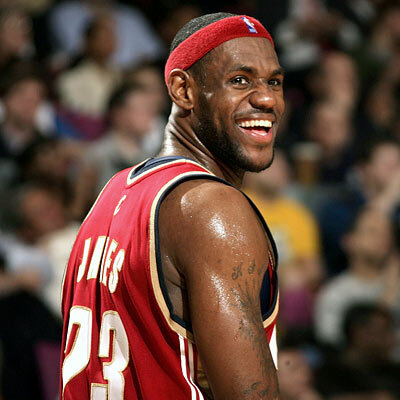 For the third time in the past six years LeBron James will become a free agent. On Sunday word came out that he will bypass his $21.6 million player option with the Cleveland Cavaliers and enter free agency on July 1st. James however, is not expected to talk to other teams and is widely thought to be re-signing with the Cavaliers once they finalize some deals to retain other players for their roster. While the move is being viewed as James simply protecting himself, while forcing Cavaliers management to spend significant money to surround him with help, there is still that uneasy feeling that Cavs fans could be feeling a little nervous considering LeBron’s history. But fans of the Cavaliers have no such fears this time around. I spoke to local Cavs fan and Cleveland native Todd Smolinski and he expressed confidence in LeBron’s re-signing with the hometown team. Is it too early for NBA Draft grades? I mean these players haven’t even stepped on the court yet. But who cares? We can see into the future and tell you right now how this is all going to go for your favorite team. Check out the Daly Dose NBA Draft Grades already and quit being so negative. Acquired: Tim Hardaway Jr The Hawks selected Oubre out of Kansas and then traded him for Tim Hardaway Jr and future picks. We all saw the Cavs go to the Finals with Knicks castoffs so it looks like the Hawks are trying to follow that surefire path to success. Marcus Thornton, SG, William and Mary We have been watching Danny Ainge rack up draft choices and thinking that he was a genius. And then he selected Terry Rozier with the 16th pick when he already has Isaiah Thomas and Marcus Smart. The genius has left the building! Steve Blake The Nets traded Mason Plumlee and Connaughton to Portland for Steve Blake and Rondae Hollis-Jefferson. That gives the Nets McCullough and Rondae-Jefferson- two players that aren’t over 50? Instant upgrade for this geriatric roster! 2nd round- traded Jaun Vaulet, SG, Argentina There were reports going into the draft that Hornets owner Michael Jordan really liked Kaminsky. Was it because he valued his offensive skills or because he thinks he can still beat him one on one? We’ll let you decide. 2nd round- No picks Portis is a beast. Not sure where they will play him or who will be his frienon the team as he tweeted “—- the Bulls” just last year. So he will probably have to sit at the lunch table alone like that dumb blonde girl in Orange is the New Black. Rakeem Christmas, C, Syracuse The Cavs traded Jones to Minnesota for Cedi Osman and Rakeem Christmas. I’m not sure I have ever seen Rakeem Christmas play but after watching LeBron’s supporting cast in the NBA Finals I would think that Lloyd Christmas would be an upgrade. 2nd round- Satnam Singh Bhamara, C, India Anderson is a good value and the 7’2” Bhamara looks like the bad guy in a comic book movie. Who doesn’t need that guy on their roster? 2nd round- Nikola Radicevic, PG, Serbia Mudiay has some weapons in his arsenal but he isn’t a consistent shooter. And he turned it over too much while playing in the Chinese pro league. And he doesn’t even look Chinese at all. 2nd round- Darrun Hilliard III, SF, Villanova Will Stanley Johnson prove out to be better than Justise Winslow? Maybe not but he’s a better fit for Stan Van Gundy’s system. So just stop with all of your negativity, Mr. Glass is Half Empty. 2nd round- No picks First the Warriors win the NBA Finals and then Looney falls to them in the first round of the draft? Mark Jackson’s head just exploded. 2nd round- Montrezl Harrell, PF, Louisville A number of people were really excited to see Dekker go to Houston. Does he suit a need? Not really. Did they more important positions to fill? Definitely. But he is white. So go nuts. Harrell was a steal. Maybe Dwight Howard will go from just being a champion in his own mind to a real champion? Naaaa. 2nd round- Joseph Young, SG, Oregon Turner is a defensive center that doesn’t bring much offense to the table but the Pacers already have Roy Hibbert and he’s the most frustrating player on their roster every single year. So apparently the Pacers just like to abuse themselves. Acquired- Branden Dawson, SG, Michigan State The Clippers didn’t have any selections in this years’ draft but they also didn’t botch their pick like they usually do. So sometimes less is more. 2nd round- Anthony Brown, SF, Stanford The Lakers decided to go with a PG instead of a big man selecting Russell over Jahlil Okafor with the second pick of the draft. This tells me that the Lakers are planning on getting a big man in free agency like Kevin Love. And he will probably hurt himself signing the contract. 2nd round- No picks The Grizzlies needed a shooter and didn’t get one but with Martin joining Tony Allen, Jeff Green, and Zach Randolph this team is my favorite in any street fight they might enter. 2nd round- Josh Richardson, SG, Tennessee Everything came up perfect for Pat Riley as usual. When Miami fans find out they still have a professional basketball team even though LeBron James left they are going to be so excited. Acquired Greivis Vasquez The Bucks needed some scoring here and got it with Vaughn who has proven to be a dependable shooter. This is good because Jason Kidd wasn’t going to teach him how to shoot anytime soon. Acquired- Tyus Jones, PG, Duke The T-Wolves grabbed Towns and then traded for Tyus Jones. That gives Minnesota a monster combination with Towns, Jones and Rookie of the Year Andrew Wiggins. Towns and Wiggins because they are monsters on the court. And Jones because he kind of looks like a monster. Or at least a Munster. 2nd round- traded Branden Dawson, SG, Michigan State The Pelicans really need to surround center Anthony Davis with some talent so they went out and grabbed Dawson and then traded him away to the Clippers for cash. Davis is also going to look great in a Clippers jersey in two years. Acquired Jerian Grant, PG Notre Dame, Guillermo Hernangomez, C, Spain Kristaps Porzingis was booed unmercifully at the draft on Thursday night. The bad news is now its going worse to get for Porzingis when he has to play with Carmelo Anthony every night. 2nd round- Dakari Johnson, C, Kentucky Dakari Johnson spurned head coach Billy Donovan while he was at Florida to attend Kentucky instead. Guess who has some extra conditioning every practice? It ain’t Kevin Durant. 2nd round-Tyler Harvey, SG, Eastern Washington The Magic needed some scoring ability and they got it with both picks. Jalen Rose compared Hezonja to Chandler Parsons on draft night…which is good… except they are nothing alike. However they are both white. Good eye, Jalen. Luka Mitrovic, PF, Serbia With D’Angelo Russell off the board the Sixers decided to go with another big man in addition to the fifty they already have. This could be the beginning of something big with all those young post players. Or it could be like when the Detroit Lions just kept drafting WRs every single year. 2nd round- traded Andrew Harrison, PG, Kentucky Booker joins Kentucky alumni Eric Bledsoe, Archie Goodwin, and Brandon Knight in Phoenix. It must be tough for all of those ex-Wildcats to afford that NBA pay cut. Mason Plumlee It’s scary for Portland fans to think about LaMarcus Aldridge living the City of Roses. You know what’s scarier? Mason Plumlee taking over for him. 2nd round- No picks The Kings have a huge headache with DeMarcus Cousins. So they decided to compound that headache by adding Cauley-Stein. But if anyone is up for that challenge it might be George Karl who actually had Carmelo Anthony in the Western Conference Finals in 2009. Yes! That same Carmelo Anthony! Not a different one! That same guy on the Knicks! Are you kidding me? 2nd round- Cady Lalanne, C, Massachusetts Can Milutinov play? Beats me. Is he even an NBA talent? No clue. But the Spurs took him. So he must be secretly great. End of story. 2nd round- No picks Delon Wright is a very good PG, he has good size, and he’s tough and very good defensively. Except for the dribbling. He isn’t very good at dribbling. But do you really need to be good at dribbling to be a point guard? Apparently not. Traded Daniel Diez, SF, Spain The Jazz have quietly gone about rebuilding their franchise into an up and coming team. In fact they have done it so quietly that most of the teams in the league forget that Utah even has a franchise. Acquired- Kelly Oubre, SG, Kansas The Wizards traded for Kansas forward Kelly Oubre who commented that he was happy to go to “whichever teams wins me a Championship”. He’s going to be disappointed. But so will the Wizards. So this is a win/win. Or a lose/lose. Whichever. Oh sure anyone can do an NFL or NBA Draft preview. But here at the Daly Dose we can even break down the NHL Draft! 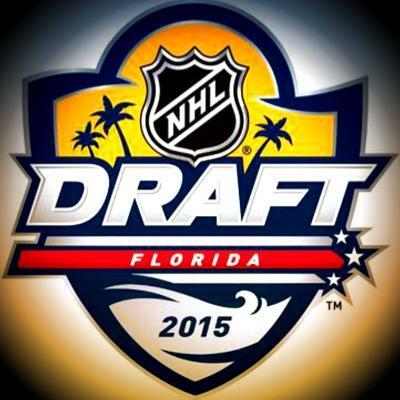 The 2015 NHL Draft begins tonight at 7PM ET. Admit it, you won’t watch it…so just read this and you will already know what happens. 10. Colorado Avalanche How about a European guy? 16. Edmonton Oilers This player will be a trivia question someday because he got drafted at the same time as Connor McDavid. 17. Winnipeg Jets Jets take a gritty guy. But he’s not that gutty. 18. Ottawa Senators Senators go with a gutty guy who is actually not very gritty. 19. Detroit Red Wings Wings look to add a poor skater here. Because good skaters are a dime a dozen. 20. Minnesota Wild Wild go with a character guy. Not really that Wild, are they? 21. Ottawa Senators Guy who scores off the ice and has a drug problem. Like a real American senator. 22. Washington Capitals Huge guy that looks great in the regular season but fails in the postseason. 24. Toronto Maple Leafs Guy with NHL size as opposed to MLB size. Because this is after-all the NHL. 25. Winnipeg Jets Another defensive tackle. Oh sorry, that was the pick for the New York Jets. 26. Montreal Canadiens Another defenseman that won’t be very good. Just like the last five. 27. Anaheim Ducks A guy that adds depth. But not necessarily width. 28. Tampa Bay Lightning Maybe a center that can actually score a goal in the Finals? I’m looking right at YOU, Stamkos! 29. Philadelphia Flyers Someone from Sweden? Clint gives you an NBA Draft preview plus a look at how the NBA game has changed and when those changes started. We also count down the Top 5 choke jobs in sports. Check out Episode #30! The 2015 Daly Dose NBA Mockery Draft is here! 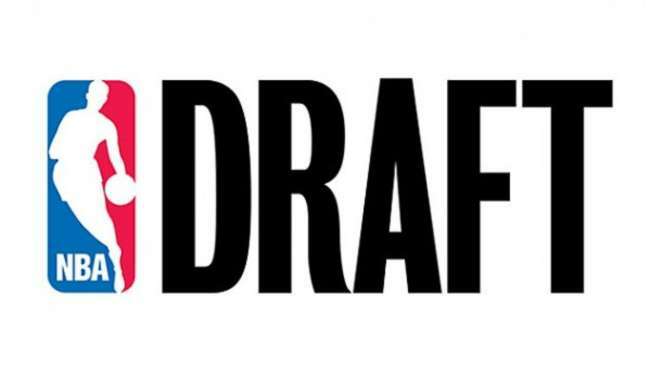 The 2015 NBA Draft begins on Thursday night in Brooklyn, New York. Where will the top players end up? Who will your favorite team select? 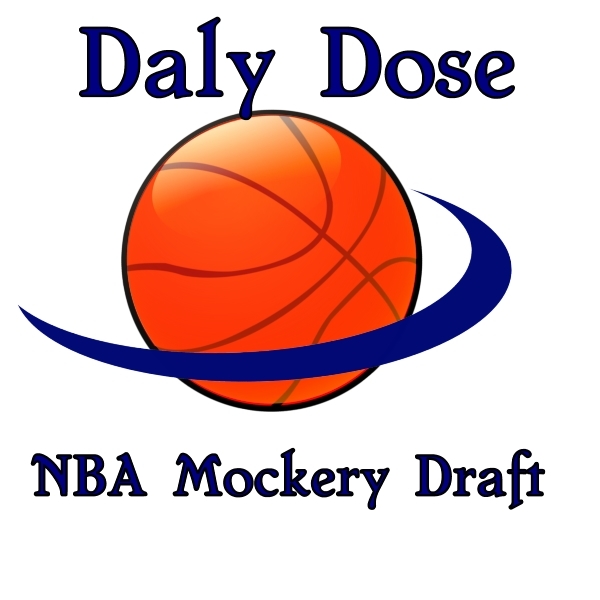 Check out the 2015 NBA Daly Dose Mockery Draft and find out. This week Clint takes a look at who the real MVP of the NBA Finals is…and it isn’t LeBron, Steph, or Iggy. Also talking about the St. Louis Cardinals hacking scandal and a Top 5 NBA Finals list that you do not want to miss! Well it took two years but the Denver Nuggets finally got their man. On Monday the NBA finally approved the trade between the Nuggets and Sacramento Kings swapping their head coaches. The Kings receive George Karl who has 1,142 wins in his 20 year career that ranks him #6 all-time in NBA history. Karl won 423 games in Denver and led them to the playoffs in all eight of his seasons there. The Nuggets meanwhile get Mike Malone who has coached 106 total games and has just 39 wins while coaching in Sacramento. “We held this trade up for two years because we wanted to be sure that Nuggets ownership was serious. And that they weren’t using drugs.” said NBA comissioner Adam Silver. “But they maintained that they really did want Malone over Karl and the drug tests came back relatively clean. So we let it go.” he continued. The move was surprising as it came on the heels of Karl being named the NBA Coach of the Year in 2013. 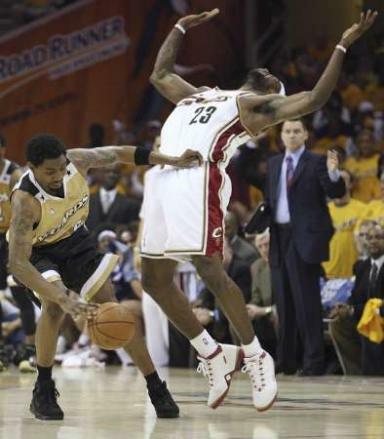 Following his incident with a television camera during Game 4 of the NBA Finals; word has spread that LeBron James may be firing his Flop Coach former NBA player Vlade Divac. The incident occurred during the second quarter of Game 4, when James was fouled by Warriors center Andrew Bogut and then inexplicably flung himself into the front row of cameras, cutting his head in the process. James didn’t miss a minute and returned to the game immediately but the damage was done. “Flopping has become an integral part of the game and I want to be the best at it. So if you want to be the best at it you go get the best coach. I am talking to the former Brazilian soccer great Ronaldo to be my new coach. We will see how it goes.” James confirmed. Is he worried about being fined by the NBA for flopping? Which are better? The NBA Finals? Or the NHL Stanley Cup Final? Have the Cavaliers figured out how to beat the Warriors? And the Top 5 reasons so many people hate LeBron James. Check out Episode 28!